Questions on applying lip color is something I hear a lot. 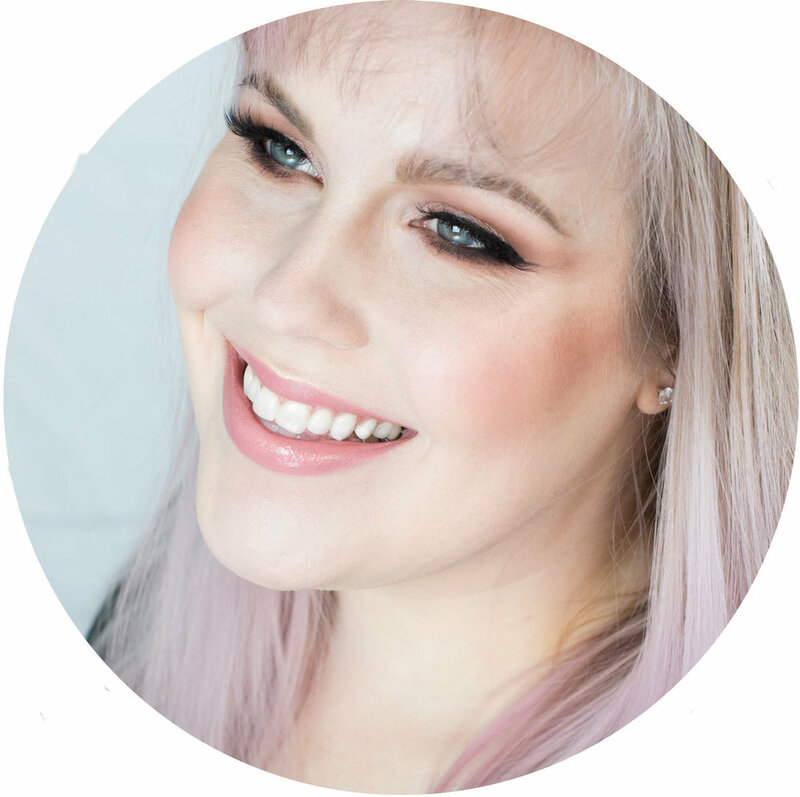 I already have a video on applying a red lip and lipstick, but I figured for those who prefer blog posts with photos, I'd make one for you too. This tutorial will cover each of the steps I take to apply lipstick so it will look nice & clean and last longer. Follow along if you'd like to learn how to apply lipstick that lasts. Disclosure: This post is not sponsored. Some links below may be affiliate links. Some items are press samples. Prep your lips. While I do my morning skincare make sure to exfoliate my lips and get them ready for lipstick application. You can use a damp wash cloth and gently rub or use a sugar scrub gently massaged into your lips. I then add a thick layer of some type of lip balm and leave it on while I complete my makeup. You wanna prep your lips like this so they are smooth and hydrated before applying lipstick. This will also make your lipstick look so much nicer. Make sure to click here and check out my video on my lip care. When doing my makeup, I do my lips last. To remove the lip balm, I take a cotton ball and roll it along my lips. Now prim your lips. I am using Mac Prep and Prime. Primers will add some moisture and create a barrier between your lips and the lipstick. With this barrier your lipstick will last longer & I find it helps keep my lips from drying out. Apply a clear lip liner. This step is optional if you're younger or don't have issues with bleeding edges. However, this step is important if you're using a very creamy to liquid liquid, like OCC liptars. Apply the clear lip liner around the perimeter of your lip line, or where you get bleeding. I personally experience bleeding with most lip colors, but only on my top lip, so that's where I will apply it. I use Urban Decay Ozone as my clear liner. Use a liner that matches the lipstick you'll be wearing or one that matches your own lip color. I am using Sephora Collection Nano Liner in Real Red 20. This step with give your lipstick something to really stick to & also helps it to last longer. Start out be making an "X" on your cupids bow. Using upward strokes, draw a line along your top lip line from the outer corner towards the cupids bow. I stop where I want to start curving the line. Now draw a straight or mostly straight line along the center of your bottom lip. Now finish the curve of the top lip. I hold my lip pencil below my lip line & pointed almost straight up for this step, so you will notice that I draw some on my lip because of the way I hold the pencil. I draw from the cupids bow to the straight line, which I find is the easiest. As you can see, I slightly over-draw my top lip, but this is optional. You can over-draw, under-draw or just follow your natural lip line. Here I start at the corner edge of my bottom lip and bring the line down to the center line. Now I go in to get the very corners. This will give a more seamless look to your lips & it will look better when you're talking and opening your mouth if you do this step. Open your mouth slightly and draw into the very corner edges, but do this carefully since you really wanna stay inside your natural lip line here. Now, fill in the whole lip with the lip pencil. This gives the lipstick something to stick to and will help it last longer. This step can be semi-sloppy, since we will be going over it with the lipstick. Now, grab your lipstick of choice. I am using Mac Ruby Woo, since it's my favorite red. Take the tube, since brushing on your whole lips take much too long, and start applying it to the center of the lips. This is about how much I put on straight out of the tube. I try to apply a good amount, but I wanna keep the edges crisp, so I don't get to close. We'll finish the edges with a lip brush. Grab a lip brush (I'll be using a Sigma L05) and load it up with lipstick. Then, in the same direction we applied the lip pencil, line your lips with the lipstick. This will get you that pretty, crisp look. This step is optional, but will keep your lipstick on longer. Take a tissue and if needed, separate it into a one-ply. Gently press the tissue to your lips to blot. This will get rid of any extra emollients and leave the pigment behind. You can see this will take a bit of the lipstick off, but no worries, just go over it with your lip brush where needed. Here's what it looks like with the lip brush going over for a second thin layer. Another optional step to ensure your lipstick will last is to take a translucent powder (I prefer using a matching blush/eyeshadow) and using a synthetic brush or your clean finger pat a thin layer of powder over the lip color. This will make the color very matte, but it will also keep it on much longer. Take a little bit of concealer and a concealer or angled brush & use it to clean up the edges. I am using NARS Concealer stick in Chantilly and Sigma E68 brush. You can use your pinky as a way to stabilize your hand if needed. Ta-da! Now you're all ready! If you're adding gloss but still want the look to last longer than normal, apply the gloss just to the center of the lips. This will still give your the glossy effect without letting the edges bleed.